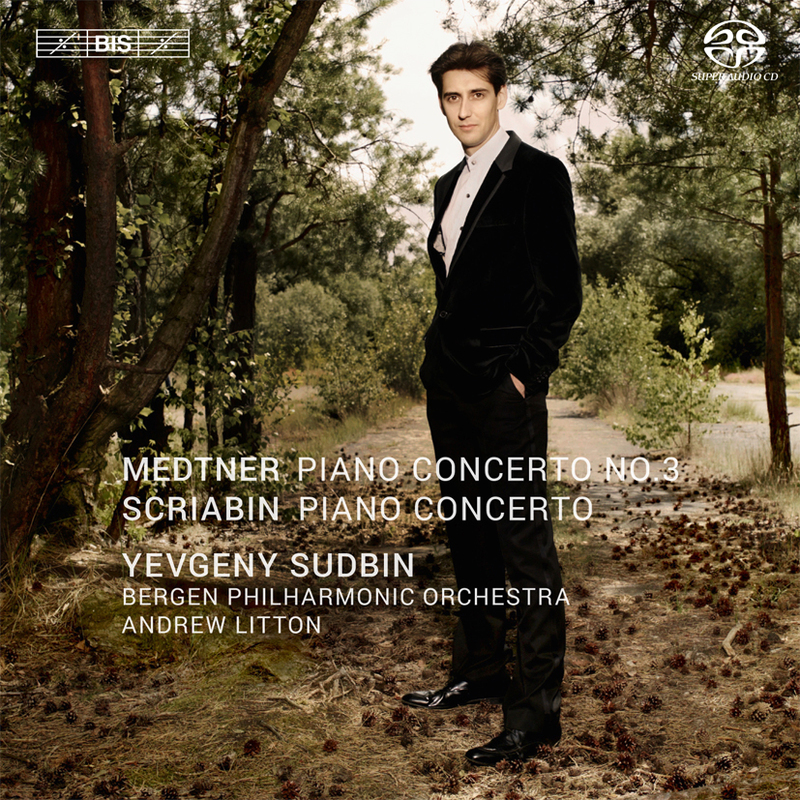 Yevgeny Sudbin has already demonstrated his great affinity with the music of the composers united here: in 2007, his Scriabin solo recital (BIS-1568) garnered universal acclaim – ‘the most well-chosen, brilliantly played single-disc selection of Scriabin's piano music currently available’ wrote ClassicsToday.com – and his recordings of Nikolai Medtner’s first and second piano concertos (BIS-1588 and BIS-1728) were likewise widely admired, with the first disc receiving a Gramophone Award nomination and the second being dubbed an ‘Essential Recording’ in BBC Music Magazine. For the present disc, Sudbin has written his own liner notes, stating with conviction his opinion that both concertos are ‘absolute masterworks – unjustly underperformed and constantly underappreciated’. He goes on to make a fascinating comparison of the two ‘radically different’ works, composed by near contemporaries, but 45 years apart: Scriabin wrote his one piano concerto in 1896 at the age of 24, while Medtner began his Third Concerto in 1940, at a ripe 60. As Sudbin points out, it would be natural to expect the later concerto to be more ‘modern’, especially given the radical advances that took place during this period. Nothing could be further from the truth, however: ever the visionary, the young Scriabin wrote a concerto which may appear relatively conventional compared to his later works, but still sounds more experimental than Medtner’s Third. 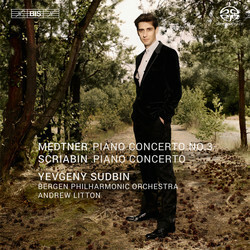 With great empathy for, and insights into each composer, Yevgeny Sudbin takes on the great challenges – musical as well as technical – posed by their two works, with the eminent support of the Bergen Philharmonic Orchestra, which under chief conductor Andrew Litton has repeatedly proven itself in Russian repertoire by Rachmaninov, Prokofiev and Stravinsky.